I read today that Eastern Ontario has started a bed registry to keep track of where open psychiatric beds are available. This is something I've long advocated. The United States now has less than 10% of the beds it used to have 50 years ago. Granted, treatment has improved and community resources are enhanced. But there are still areas that often do not have a sufficient number of hospital beds for folks needing acute inpatient psychiatric care. The Ontario story described in the Ottawa Citizen states that six of the area hospitals have been connected to a computerized "bed board" that provides real-time information on who has an appropriate bed available. This saves time in the ER and gets patients to needed treatment more quickly. Otherwise, calls need to be made to each individual hospital, which is very time-consuming. 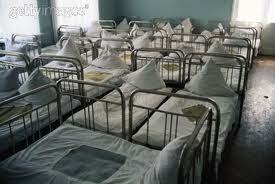 And it is not uncommon for all the beds to be full. Last July there was an EMTALA complaint against a hospital in Maryland because a patient sat in the ER all weekend, and this hospital said they had no beds to admit the patient to. The Department of Health and Mental Hygiene investigated the complaint and found that, indeed, the hospital was full that weekend. The ER's record indicated that all the hospitals (except the state hospitals) were called that weekend and all indicated their beds were full. So, DHMH visited every hospital (about 28, I think) thinking that surely one of them had an empty bed they were hiding. What they discovered was that every single psychiatric bed in the state was full. Unfortunately, we have no way of determining how often this happens, but we know if happens often enough. A "bed board" like this would be very helpful in (1) quickly finding beds when needed, and (2) keeping track of the extent of this problem. Having patients wait in ERs for days is unsafe and is even discriminatory. How many people with stroke or uncontrolled diabetes sit in ERs for days waiting to find a bed for treatment? I'd like to hear others' thoughts on how this problem can be addressed. Fun that you would blog about this just now. My friend (just this week) was transferred to a hospital a few hours away from our home town b/c all the local hospitals were full (and we are talking about psychiatric beds here, in very fact). That is fascinating and timely. And she was in the ER for several days until finally being transferred.. I've experienced the 24 hour wait in emerg trying to get a psych bed and boy it is NOT fun. Ontario should and could be employing this program across the board, not just in the Ottawa area. Glad to see you posting again, Roy. Yay Roy is back from under the floorboards! Last fall and into this winter, I've been on the very edge of needing to be hospitalized for psych reasons, and I hadn't even contemplated this problem. Do they really make a suicidal person just sit in the ER? How would they keep them from running out in the street? Couldn't they get sued? Not that I'd sue. Course, I'd be injured or dead but that's not a method I'd likely choose, jumping out in front of a car, then again I'm sort of in my right mind at the moment; I wasn't really last fall. I've never been hospitalized for psych reasons so my fear of the whole thing may be partly what kept me from doing so last fall. It's not discrimination, it's rationing or maybe triage. What we consider necessary in medicine is a moving target pushed back and forth by money, which no one seems to have enough of these days. Bed registry is a good idea for all medical problems. We have a similar problem in California, in terms of getting folks any kind of inpatient care unless they are actively suicidal or homicidal. Working with minors in our county, the phrase we say around here is, "if there isn't a razor blade in his wrist, they'll send him home." Of course, this is a money issue, too. If our clients are on Medi-Cal, and they don't have private insurance, there is nowhere in the state that I know of where our youth can go to receive help for cutting, anorexia, etc. And trying to get a referral to a neurologist? Hasn't happened yet in our clinic that I know of, and some of our clients could really use one. This may just be my own lack of knowledge about resources in our area for our Medi-Cal kids, but if there is inpatient treatment out there for them, it is not well-advertised. And plus I"m on Medicare, so I'm not sure how that'll affect my situation except the hospital that's only 5 mins away isn't on my plan, I have to go 20 mins away. Not that that has anything to do with anything; from their side it's more about costs which it shouldn't be with a suicidal person . . .
Woops thats MedicAID not MedicARE. and my state is cutting Medicaid funding alot this session. Sarabear: From experience, here is how they make sure the person does not run into the street. 1. physical restraints 2. chemical restraints 3. "safe" rooms in emerg that get locked, plus an armed guard outside the door at all times. 4. Combination of all of the above. Only made it out to the street once in all my years and I got tackled and brought back. To add to the anonymous comment above, some hospitals have a small closet with a metal door. That's where they stuck people like me who were there for depression, even though I wasn't talking or being confrontational. All the staff walking by pause to peek through the small window on the door to see who is in the cage. I cannot imagine having to stay in the cage for 24 hours. Not sure how many hospital ER's have a cage, but that one did. The "safe" room I mentioned is the same as the closet with the heavy metal door and the shatter proof window. Every ER I have been in has had them. It is a cage. Psych pts are treated like animals. You do not have to confrontational to get stuck in the cage. You do not have to be confrontational to be restrained. Believe it or not, that is the reality of emerg, that is the reality of psych care. If you can avoid them, stay away from hospitals. Use every resource in the community that you can. Thanks anon. gee, hospitals sound even MORE scary. HappyO & Rach... unfortunately this is a common problem. Sare...thanks. If one is suicidal, most ERs will have them monitored 1-to-1 and/or behind a locked door area. Moviedoc... then why "ration" only the psych beds and not the beds used for CHF, DKA, or hip fractures? Sounds discriminatory to me. Re the "cage", I know what you mean. Most of these safe rooms are bare bones (no drawers with needles or tape or bandages) with hard ceilings (no dropped ceilings) and no anchor points to hang self on. Doors are heavy (but not locked unless dangerous) and shatterproof glass. The rooms are designed to safely handle the most risky, intent-on-suicide patient, even though 95% of the patients we see in the ER do not require this level of security. But better safe than sorry. And, yes, outpatient is always preferred to inpatient unless the risk is too high. I suppose then, since I'm afraid of being trapped and that's one reason I fear going to the hospital, is being trapped, and now I fear being trapped in such a "cage" room, and I don't want to let anything blogged EVER INTERFERE WITH MY HEALTH OR SAFETY, then I'd better talk about this fear of being trapped, especially as regards such a "cage" room, with my psychologist. I think that is the best thing I can do for myself, given the fears that are starting to build. Not sure how you define dangerous. When a guard (you an call it 1-1 but some places have armed guards and others use 1-1 from agencies) is stationd outside, the door may be unlocked but you can't go anywhere and so effectively it is locked. Also, I have been locked in those cages and am not dangerous if you mean I am physically threatening to anybody. Plus all your belongings are taken pockets emptied. i get not having something to hang yourself on. I don't understand why the cages need to be so scary when a person is already in such a bad place mentally. If you are too hot, too bad, too cold, too bad. And I know one person who stayed in the ER cage for weeks because there was no psych bed. Some psych units I have visited have their own cages on the ward. Mostly, once admitted, the cage is chemical because they think they can blast your illness away with mega doses of meds and starchy food. Patients are zoned out all day. That is treatment in their view.If you need to talk to someone, stay in the community. Roy, I also wanted to welcome you back. Frankly, I am horrified at the descriptions of what goes in psych er care. It seems the cure is worse than the disease. When I worked in special ed, we had a quiet room where disruptive students were sent. By the way, it was a regular sized room and not the size of a cage. And students were only sent there after all other behavior methods had been tried. Even when they were sent there, we would do checks every 30 minutes to see if they were able to be safe and come out. I don't understand why a similar system couldn't be implemented in the psych er. It just seems like once you get a conviction of being dangerous, there is no parole. I do realize the liability issues that may be involved and that many times, you're in darned if you do and darned if you don't situation. I also realize that money is an issue. But I get the sense that no one thinks about how traumatizing this is to patients and whether the system could be improved. I know you don't think like this but I get the sense that some of your colleagues feel that well, these are psych patients so we don't have to worry about improving our system. I wrote about the cages and so on. I think psychiatrists do not set the agenda on what happens in ER. They work with limited budgets and psych is probably one of if not the most underfunded area of health care. You can walk into an otherwise beautiful hospital with fancy centers and units for all kinds of care and then arrive on the psych unit to find very depressing conditions and surroundings. There was once a post on this blog about some fancy pay for stay psych facility. I do not think those are what most people would be asking for but the current situation is bad. For many psych patients, the goal of their doctor is to try to maintain them as long as possible in the community before resorting to inpatient because so often they end up having to deal with the whole trauma of the hospital experience. It's a great idea to design rooms that do not have that institutional look, though most of the newer ones I've seen swap out the old institutional look for the new institutional look. And the safety features can alter the look of it. The design needs to build in function, safety, aesthetics, and comfort. Not sure who does this well. Any *good* examples you know of? Pics? The other thing that would not hurt would be nurses who answered normal questions in a normal way instead of assuming your question is psychotic. the there was the one who assumed I supported my family on disability benefits.She did not bother to read the part about my profession and that i work when I am not ill which is most of the time. Yes some people are on disability and I am glad it exists for a wide range of reasons but to assume every person on a psych unit could not have a career is another thing. I don't know that there is any way to really spruce up the ER cage. Putting anxious people in a closet is probably in most cases making a bad situation worse, but that's just my experience. Maybe some have found that to be therapeutic, who knows. I looked for a picture of one of these safe rooms online but couldn't find it. Funny that it's called a room when it's so small you couldn't even lie down width wise. This is what the door looked like (the picture on the left). I wonder how many people need therapy to deal with the hospitalization experience. That is the door, complete with chipped paint that seems to be a required feature for some reason. Inside is a bare bed equipped with restraints, dingy walls never painted in what are considered soothing colors and a ceiling or near ceiling height mounted closed cicuit camera to monitor the patient. The lights are the harsh kind which is unecessary and only increases agitation. Nothing else. Some wards have units with different versions of these. The main difference is that the doors are made totally of glass , shatter proof. You can still be locked in if they feel like it and the ward itself is locked. The cameras are there and the glass doors make sure you have zero privacy. Then other units you have a regular looking hospital room shared with 3 others and there may or may not be a curtain to draw around your bed for privacy.It all depends on whether the curtains got worn out and were ever replaced. The shower in the hall has a peep hole or a small window so they can observe you if the want to. All of this sounds horrible. Why would anyone with this knowledge voluntarily go to a hospital for a psychiatric problem? I wouldn't have gone before reading this, and I most certainly won't now. I'll take my chances alone at home, should the situation arise. Well most of the times I have ended up there I have not gone voluntarily. One time I did go there on my own free will because I was in a crisis and even though I showed up voluntarily if they find out you have suicidal thoughts or have tried in the past, they will employ the safe room/cage. I have never found hospitalization to be helpful in getting better. It kept me locked up until the meds could start to kick in but the hospital experience itself is demeaning. I understand the need to be on a locked unit when suicidal. I do not understand why there is allowance for human dignity. Anyone could look through the bathroom peep hole not just nurses and it was coed unit. In reality a hospital is a prison for mental illness and they let you out when the meds seem to be working or sometimes even before as long as they don't think you are going to kill yourself or anyone else.It is just a holding tank. I'd be curious to know what the rest of the hospital was like. I once spent a week in a private hospital for a life-threatening condition (not psychiatric related) that was discovered when I went in for surgery. I hated every minute of it, but the place was clean, the rooms large and sunny, and the nurses plentiful and available. That being said, they weren't letting me leave against medical device despite my constant pleading. After a week they decided I was out of danger and let me go. I then spent 2 days in a public hospital, the best in the city, as a result of the same condition (guess I should have stayed at the private hospital longer). Got there via the ER. The rooms were dark and small and filthy and the nurses were nowhere to be found. I had to ask over and over againt to get the medicine I was supposed to get every 12 hours. They also wouldn't let me leave AMA (I got out when they finally got in touch with my pulmonologist who said to let me go). Given what the normal floors of the "best" hospital was (in a big city), I can only imagine how awful the psych ward there must be. I guess my point is that public hospitals are, overall, awful places, and the psych wing is probably the worst part of them. Rest of hospital--beaut of a mat ward like a hotel. Medical floors if you have insurance you can have private room. psych-share with 4 peeps. Other floors-way cleaner and brighter. Wow, I seem to be the only one who has had a positive experience on an inpatient psychiatric ward - at least from amongst those who have commented. I was treated with respect by all the staff - the facility was set up so that it was a locked unit, but there were places that provided privacy. Physicians were sensitive to the fact that people were sharing rooms. Showers had real doors, and patients who were not in acute danger of themselves had the opportunity to use a shower with an attached private bathroom. Visiting hours were 12 hours in length, 7 days a week. I could go on and on. I suppose I was lucky to be inpatient on an extremely small unit that has a reputation for being humane and sensitive to the needs of it's patients. I was back to "sane" and well, ready to leave but they kept refusing to let me go. My current psychiatrist told me he suspects it was because my insurance was generous and they were getting full payment from me. Our shoes were taken and jewelry and regular clothing and I was dressed in a doctor's green surgery outfit, socks, no shoes. The night staff was REALLY scary. They were angry, threatening, and awful and virtually everyone on the floor was afraid of them. I came home black and blue from physical abuse. I was drugged into oblivion and visiting hours were once a day and very short, perhaps it was an hour, maybe 1.5 hours. Family had no access during normal daily treatment of us. We were belittled. I had been a wedding photographer for 25 years and they refused to believe me, laughing at my supposed fertile imagination "SURE you were!". I had never had a psych incident previously and was 55 years old and the nurses kept telling me that they were "teaching me a lesson for not taking my meds". I wasn't ON meds before I was hospitalized. They tried to hurt me when administering shots and would say nasty things to me like "this is MEANT to hurt you." as they jammed the needle into my arm or into the middle of the back of my calf. It was awful. Traumatizing. My hand got slammed into the door of "the cage" as I was trying to resist being put there once again. I felt they had locked me away and thrown away the key and that I would never get out. I was vegetarian and they kept feeding me meat and telling me that it shows a psych problem to refuse to eat meat. I would NEVER consider hospitalization an option. I have required therapy to help me get over the hospitalization. OH Sunny I am so sorry that such horrible things happened to you! I am so very, very sorry that horrible systems and people victimized you in those ways. Sunny, I second what Sarebare said. I am so sorry for what you experienced. Where is the outrage by mental health professionals about these abuses? Why isn't anyone speaking out? Sunny CA - wow. I mean, wow. That's absolutely horrendous. I thought those types of practices no longer existed. Rach, sounds like it would be better to be in a psych hospital in Canada than in the U.S. I have never heard of 12 hr visiting hours in psych hospitals here, of course it may exist somewhere and I'm just not aware. You would think since depression is supposed to be a disease "just like diabetes" that patients would have similar rights to visiting hours as patients hospitalized for physical issues, but that was not my experience. But, back to the issue of running out of psych beds not sure how that problem would be solved. They either seem to have too many psych beds or too few. Back in the late 90's when I was hospitalized the psych ward had plenty of empty beds and the danger with that is they start trying to fill them, whether it's needed or not - empty beds equal financial loss. It's a more difficult issue for psych than it is with other areas of medicine because while there might be an empty bed on an off service floor, psych patients have to stay in the psych ward and of course no med surg patient would want to come to the psych ward with no tv, no phone and sitting in groups for hours on end. That complicates things. You've all sold me> I'm never checking myself into a psychiatric hospital, this sounds awful! So why do you all think a medical unit is like a hotel? The hospitals I've worked in, often seedy, patients are left on stretchers in the hallway in their hospital johnnies, shared rooms where one has to deal with a stranger and their entire families with only a draped curtain in between. People are too sick to get up and pee in urinals (in ICU's with No Walls), and wear diapers...med students and nurses and student nurses and phlebotomists and janitors march on through. Some of the psych hospitals I've been through are much nicer--lounges, and carpeted floors, and people get dressed in their own clothes and go out on passes for lunch, adirondack chairs outside, gyms for exercise and basketball.... Seclusion rooms are uniformly horrible and about keeping people alive, not aesthetics or even kindness. And ERs...in general, yuck. I am sure you have seen beautiful psych units and dreadful medical units. I cannot speak for others but in the hospital where I was treated on a medical and also on a psych unit, the medical one was a lovely renovated new wing.Looked like a hotel. The psych wing was a holdover from a different era. The answer may lie in the fact that wealthy donors give money in gratitude for treatment received and get the unit named after them. Most psych patients who are that wealthy would probably go somewhere very private. And I am not sure any one of us wants a psych unit named after us. People land here to respond about their own experiences. Leslie: Canadians have it hit or miss. It depends on the hospital. There is no uniform standard of care and I have never heard of 12 hour visiting but I believe what Rach writes. Sounds like she was in a a good place. About seclusion rooms, I have seen, from the outside, one that I did think was humane looking. The ones I was in were not like that. Aesthetics? No one is asking for paintings by French masters to be projected onto the wall. Kindness? No one is asking to have someone sit there holding their hand. ""So why do you all think a medical unit is like a hotel?"" I am speechless at this question. People talk about abusive practices in psych units and you equate that to wanting a medical unit to be like a hotel? minus 1 should do the trick! LOL! yeah and i woulded trust any old man called tim that enters the ward, he might sneak in a secret supply of cookies! hmm, yeah, don't know, think i much prefer private practice! LOL! Rest of hospital--beaut of a mat ward like a hotel. I was treated on a medical and also on a psych unit, the medical one was a lovely renovated new wing.Looked like a hotel. The psych wing was a holdover from a different era. I care about aesthetics, and I do think having a clean and pleasant environment is important. Seclusion: ugh, we do this badly. I have personally never seen seclusion used as "punishment"...usually people are put in seclusion (meaning closed-door and often against their will) when their behavior is violent or threatening--these are difficult and scary times. Mental health professionals may be overly cautious because they are not infrequently the victims of patient violence. In the ER, there isn't a way to quickly figure out who is quiet depressed person and who has the potential to become quickly unpredictable and dangerous. The tendency gets to be to err on the side of being overly inclusive and assuming that anyone could be dangerous and so there are guards. I haven't worked in an ER or inpt unit for a long time. I still remember the stories: the physician who was assaulted; the gentlemen who shattered the entire presumably unbreakable glass surround of the unit entry (this was an impressive event), the calm sweet lady who was discharged from the ER and kidnapped a random child on her way home, the patient who was discharged only to days later threaten a police officer and be shot to death, and I believe a police officer was killed by a psych patient in an ER where I worked (the patient grabbed the officer's gun)--years before but the story lingered. The psych patient who jumped through a window, the one who returned from a pass with a gun and killed herself on a unit....the gentleman who hung himself from the ceiling...and it's not just those patients designated as "psych"...when I was an intern, the ER was held hostage at gunpoint by a patient with tuberculosis, and months ago, a disgruntled family member killed his mother's surgeon at my hospital, causing distress and a lockdown among thousands of people. Enough events and hospital workers get a bit sensitive, it's not just evil, insensitive people brutalizing harmless ill people---which is how some of the comments, some of the time, sound. It's not that I condone ugly hospitals, violations of privacy, or inhumane treatments --- I don't. Hospitals are yucky places. If you can stay well enough to stay out of them, by all means do. Somehow, I'm sure I said something here that was the wrong thing to say. Thank you for responding and I do understand what you're saying. Some of the incidents sound horrific. I understand hospital workers getting sensitive after enough events. But when I was attacked when I worked in special ed (fortunately, I wasn't shot or anything like that), I wasn't allowed to take it out on other students nor should I have been. That was part of the deal which I knew going in. And I made a whole lot less money. I stand by what I wrote about other wards looking like hotels. Birthing rooms that look just like upscale hotel rooms and so on. Someone decided that delivery rooms with bright harsh lights were not conducive to maternal/baby comfort and well being. Great care was taken to plan these units. Psych unit in same hospital is from an another era. There is no doubt that the funding does not go into psych units. No one is asking for hotel like setting for psych patients but there is huge disparity and surrounding do have an effect on agitation and well being. Paint the place, have toilets that work, have quiet rooms that do not frighten people because they are already frightened enough. And they are used as punishment and staff do say degrading things so that could stop. I was committed in one of the Ontario hospitals. It was just great. Spent three days in the ER, not allowed to shower (and you only had 10 minutes) for two. I was on my period and they wouldn't give me any sort of hygiene product or even just let me change my underwear. Also the nurse deliberately hurt me when she pulled my cath and then every time she saw me later talked to me like I was five. It was wonderful. When I was transferred, I got to spend a month in a unit doing nothing where whenever I would ask about what I needed to do for discharge they'd say "shut up, you can see the doctor in five days, maybe". I'd see them in seven for five minutes. I was so happy to be treated in such a compassionate, caring manner. When people ask me why I don't trust psych workers I laugh. snore stop: why on earth did you copy and paste a previous comment from another commenter? "In an 'Open Forum' essay that appears in the February Psychiatric Services, Ira Glick, M.D., Sharfstein, and Harold Schwartz, M.D., argue that the ultrashort five- to six-day hospital stay may actually subvert the goals of recovery and may contribute to the criminalization of mentally ill individuals by releasing patients to the community with no real recovery-oriented, long-term treatment plan. 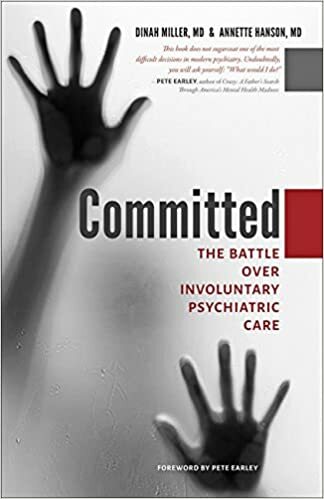 The authors offered a model for reform of psychiatric hospitalization that revives the therapeutic function of the hospital and leaves enough time for accurate assessment, real engagement with the patient and family, and formulation of an individualized treatment plan aimed at long-term recovery"
Many of the experiences described here are unacceptable and are not considered the standard of care. For most of the hospitals in the US (not sure what happens in other countries), The Joint Commission accredits hospitals for meeting their standards of care. How hospitals handle restraint and seclusion are high up on their list of things they look for. If any of you have a bad experience, you can complain to The Joint Commission. They takes these things VERY seriously and will perform a full investigation in many cases. Hospitals do not like to have the show up for a surprise inspection, so letting the CEO of the hospital know about your complaint should be your first step before going to the Commission. Either way, speak up and make a difference. It works. Thank you Roy. I did complain about a particularly bad experience and received a we are sorry email from someone in a back office. That was a few years ago. I was speaking recently with someone who is familiar with all of our local hospitals and was told that my experience was typical of that hospital and that it ought to be shut down. In case it matters, this person was not a patient. Had he been, I guess he would be less credible to many people, so I mention it. I complained to an accretation agency about abusive hospital experiences, and they did not care. They were concerned if electric razors were being sanitized between times they were borrowed by patients, and not much else. 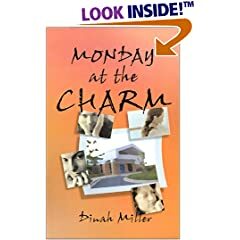 It took me years to get over my experiences at a state hospital. In my case, only certain staff were abusive, but they made sure no one could observe or overhear. I did carefully write a complaint letter and met with the administrator of the facility, and one staff member was demoted and two got pay cuts. The ward was spruced up with new cheerful paint etc. My social worker told me that later patients did think things were better. I did go in and copy my entire file before I filed the complaint, just in case. Taking careful notes while incarcerated there paid off for other patients. I will never ever call 911 again. If I am unable to control suicidal behavior someday, oh well.